I hope all you lovely mail peeps had a fabulous Christmas/holiday season. 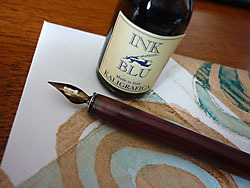 Here is some of the creative mail that arrived in my mail box. 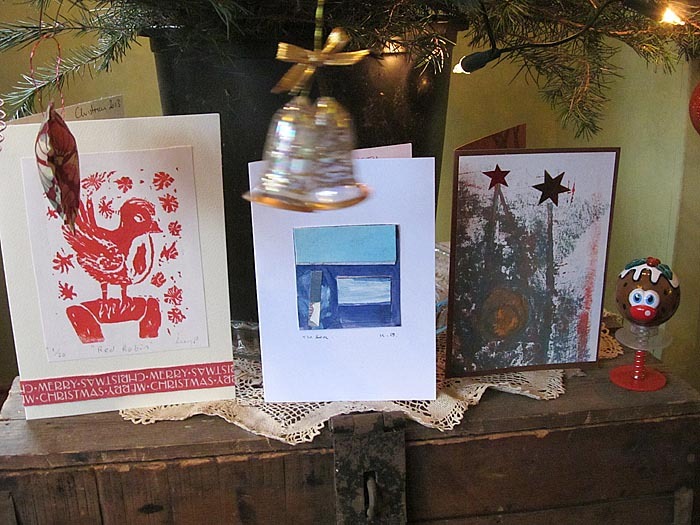 Here are some of the cards that I received this Christmas from some of my mail friends. 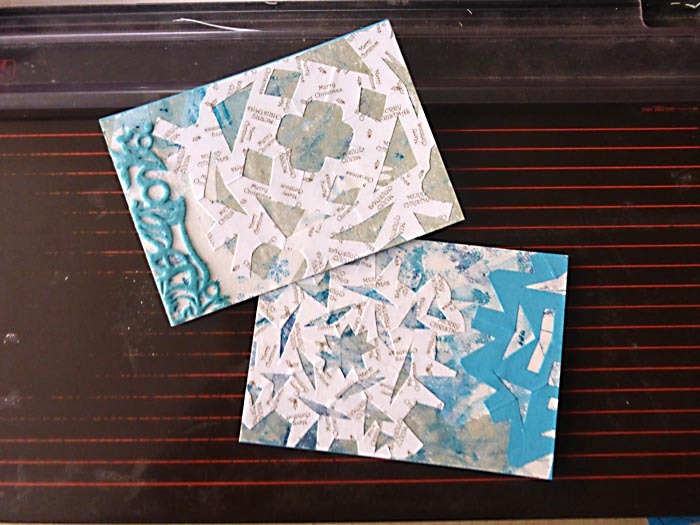 First a handmade card from Deborah in USA, I love the stamped image using white ink! 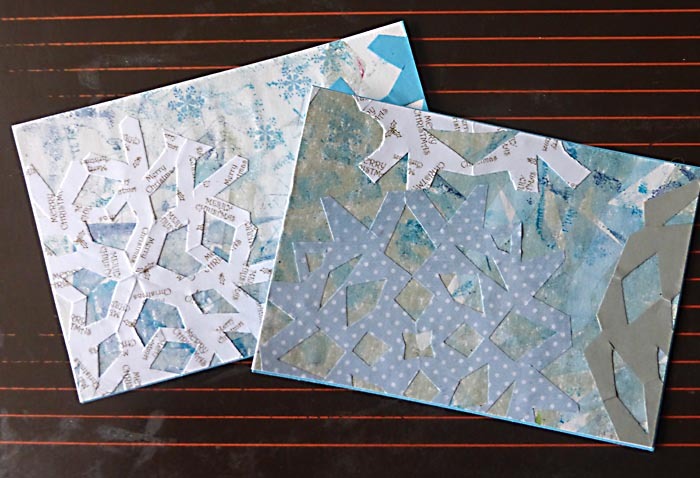 Next a Yummy mulled wine recipe from Lisa here in the UK and a lovely festive picture of snowy Netherlands from Josephine. 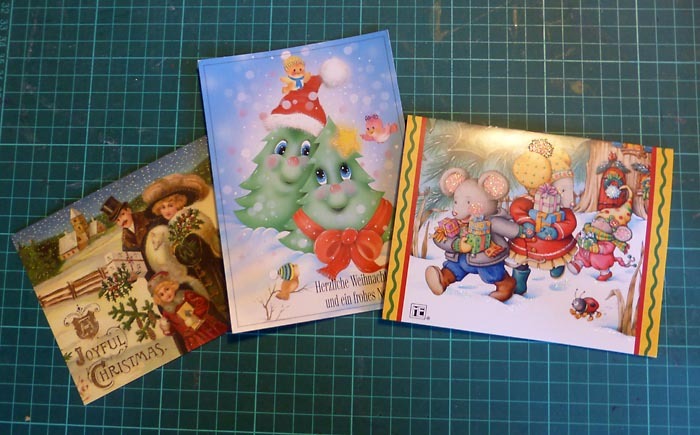 A traditional Victorian Christmas scene from Nelleke in Netherlands, Jolly Christmas trees from Elfie in Germany and from Stephanie in Canada a snowy mouse family. 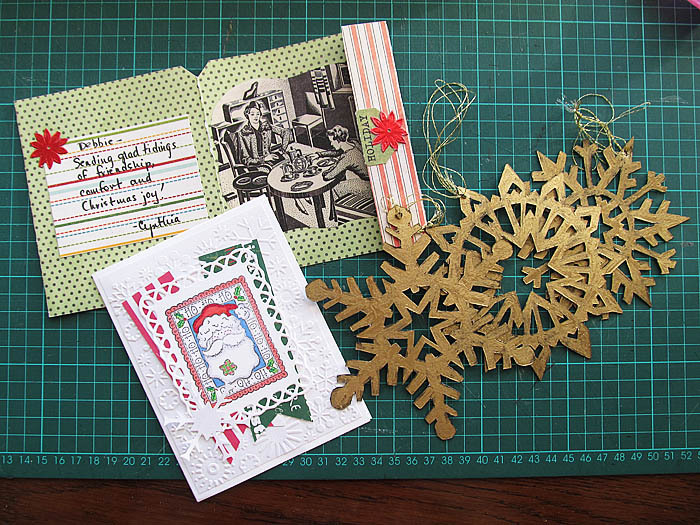 I’ve had lots of lovely Christmas mail that I want to share with you so there’s more to come! and Josephine in the Netherlands (a handmade handkerchief). 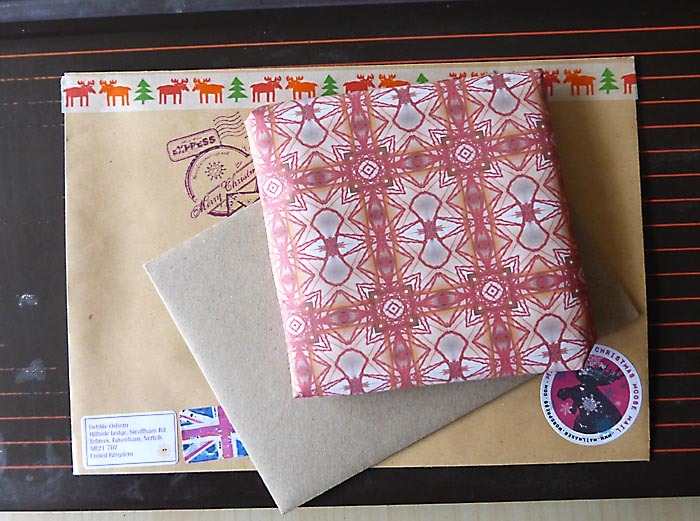 Sorry, I was enthusiastically wrapping and forgot to photograph the contents! They were wrapped in papers I designed myself. 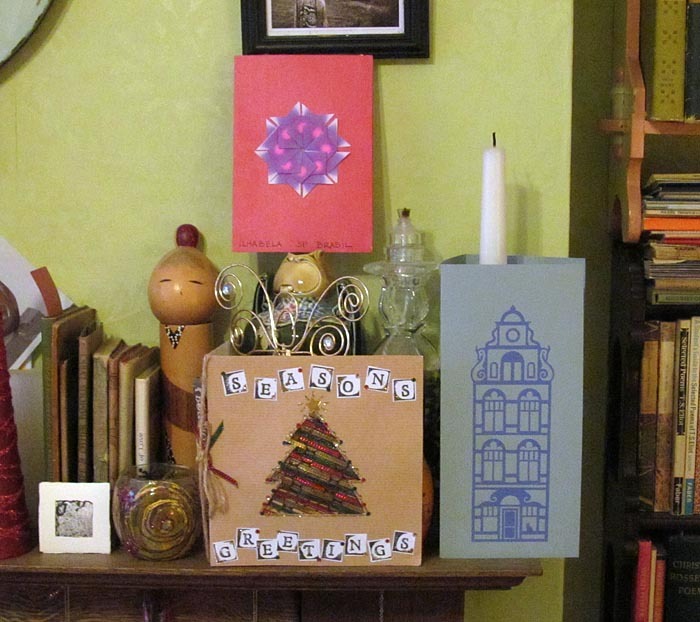 Here’s a few more Christmas handmades that I missed telling you about. 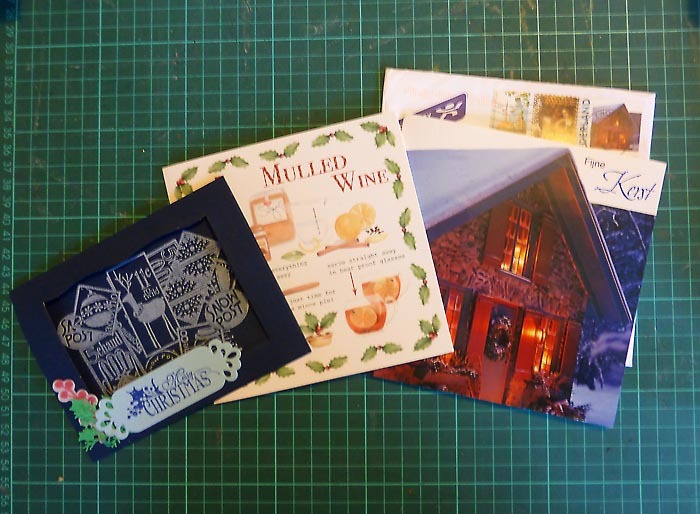 Christmas cards from Cynthia and Deborah in the US and some lovely hand cut snowflake decorations from Susanne in Germany. 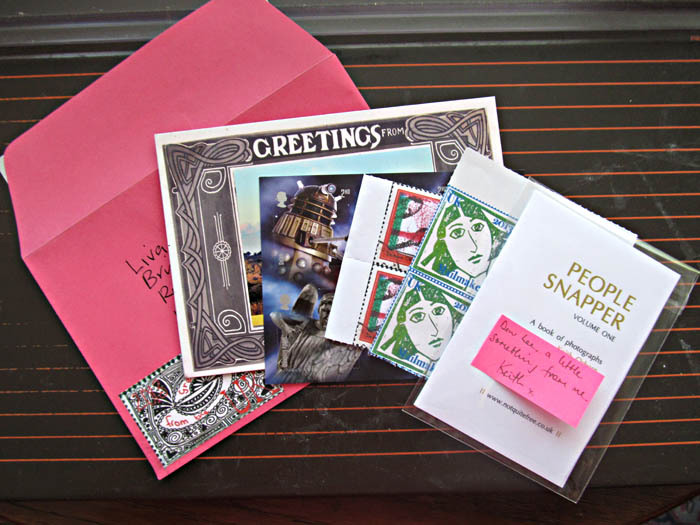 Oh my word, how lovely some people are to send such beautiful things! 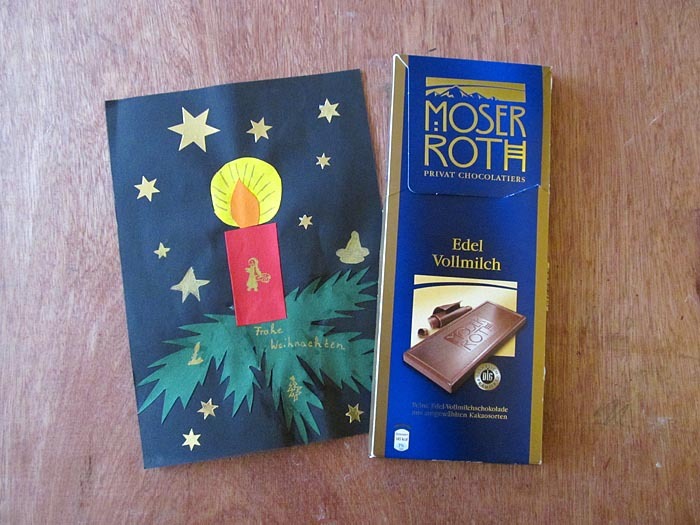 This first one is from my friend Katja in Germany, the card was made by her daughter. These were sent to me by Sil, my new penfriend from Brazil. 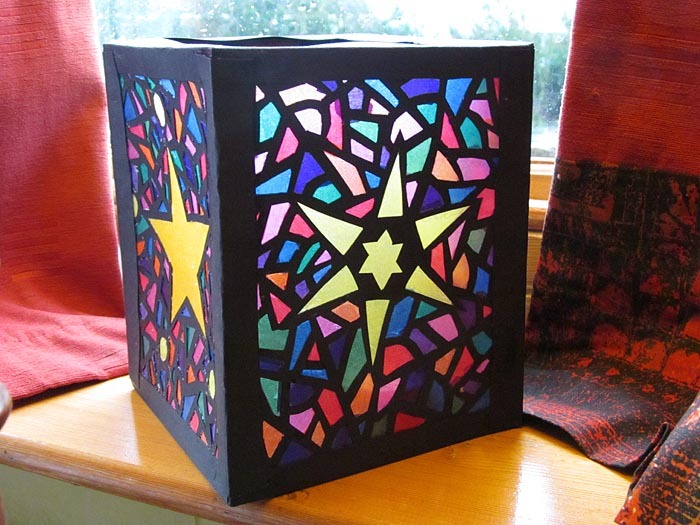 This gorgeous, gorgeous lantern was made and sent to me from my friend Susanne in Germany. This 1st card was given to me by my husband, the next to us both from a couple of friends and the 3rd to my husband from me. 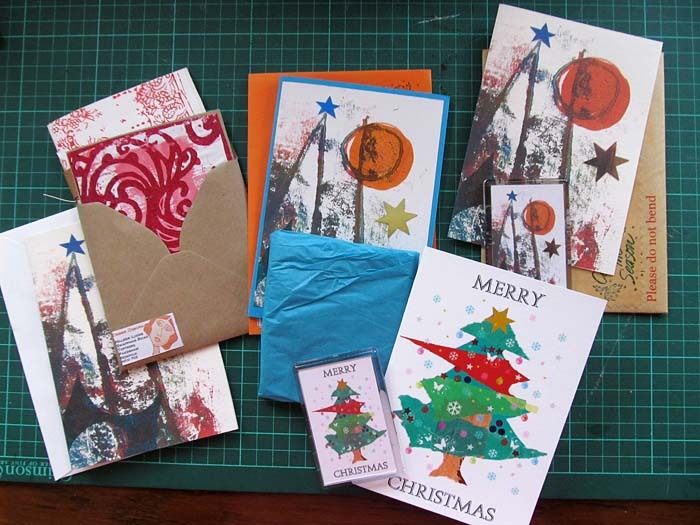 Here you have seen sil’s card, also there is one from my friend Sarah here in Norfolk and the last is from a very talented Suzanne in the Netherlands. 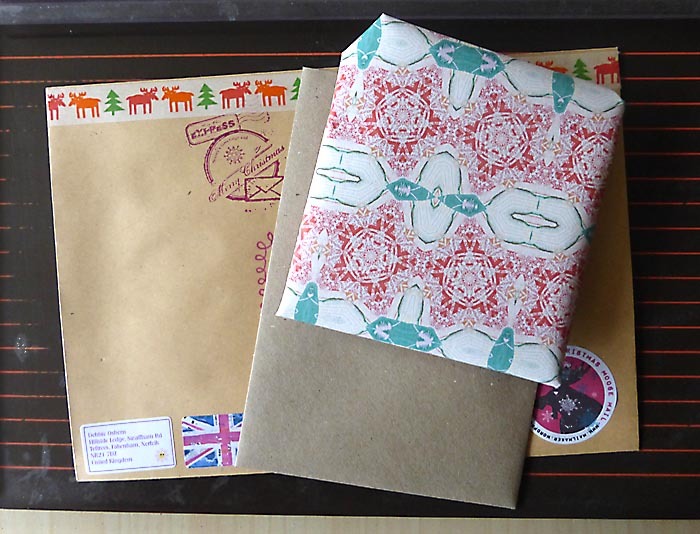 A couple of days ago I sent out some of my Christmas mail to my friends in other countries. It means so much to me to have such lovely friends. Then below a birthday card for Lee as well. 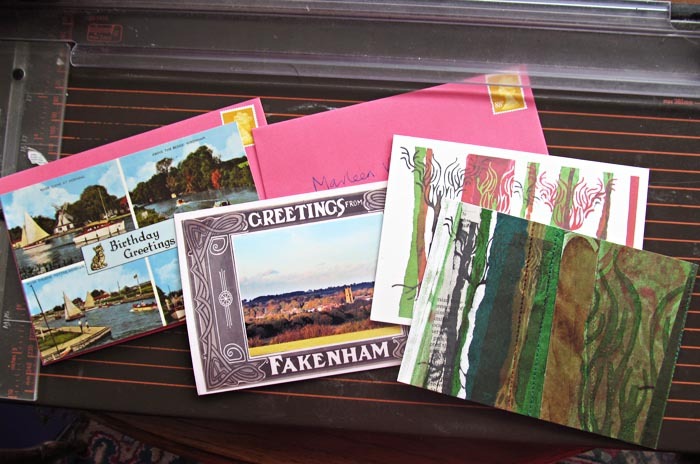 Greetings from Fakenham is going to Marleen in the Netherlands along with some UK Stamps, then there is a postcard to my friend Nelleke in Netherlands. 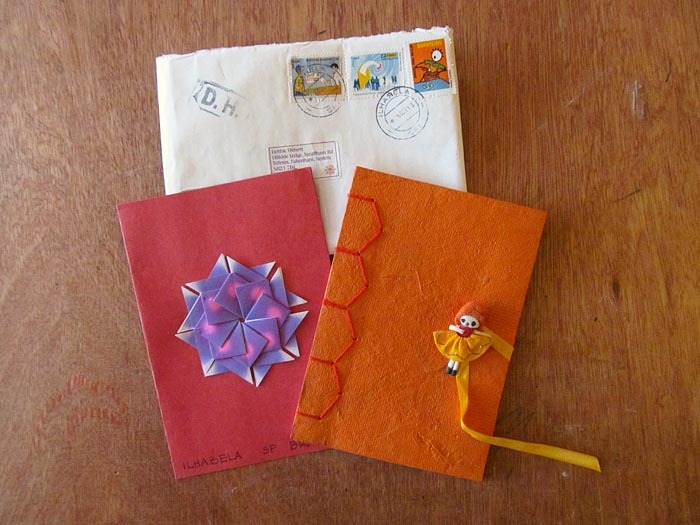 Finally an art postcard for Hannah in Finland who surprised me with some mail art a couple of weeks ago.